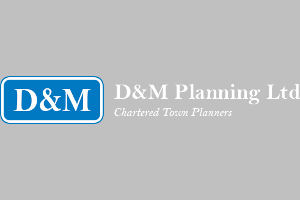 D&M Planning has been successful in obtaining Planning Permission and Listed Building Consent for the conversion of two Listed barns with a glazed link to form a new dwelling, erecting a new stables building and extending an existing stables building, replacing a domestic garage and demolishing existing stables. 'The Council’s Historic Buildings Officer is of the view that the proposal to demolish and move the modern stable buildings away from the historic buildings is welcome. He is satisfied this will result in an improvement to the setting of the listed building and no harm to significance would result…therefore it is considered to comply with the NPPF in this respect and that the proposal would preserve the character and setting of the Listed Building and would not harm its significance'. 'Whilst the new dwelling would be in an isolated location, it would result in the re-use of a building that would enhance its immediate surroundings…and that the proposals would blend in well with the existing residential and equestrian use of the site. It is considered to conserve the landscape character of the AONB and AGLV and would not result in any material more harm to the intrinsic beauty of the countryside'.